Puneri Paltan will receive Anup Kumar's able guidance in Season 7 of the Vivo Pro Kabaddi League which will bring new zeal among the players. 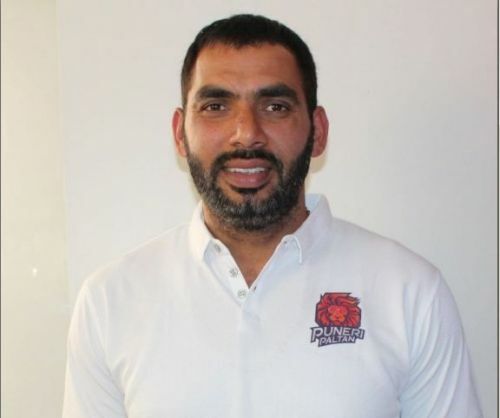 Anup Kumar, who retired as a player in Vivo Pro Kabaddi League Season 6 has now decided to turn the tables and step onto the other side of the mat, as a coach. Anup Kumar has had an illustrious career as a player. His international debut was in 2006 at the South Asian Games where our Men’s Kabaddi team won the gold. He captained the team to win the gold medal in 2010 and 2014 Asian Games. He also carries the honor of lifting the 2016 Kabaddi World Cup trophy. Under his able captainship, India strengthened its position as a leading and powerful force in Kabaddi on a global scale.